Manny and student, Gail Tassell. were recently featured in USA today. So, you think you're funny? Is everyone telling you you're funny? Learn the writing and performance techniques it takes to be funny, as well as how to develop your own unique style. This class is great for everyone, regardless of your walk of life. 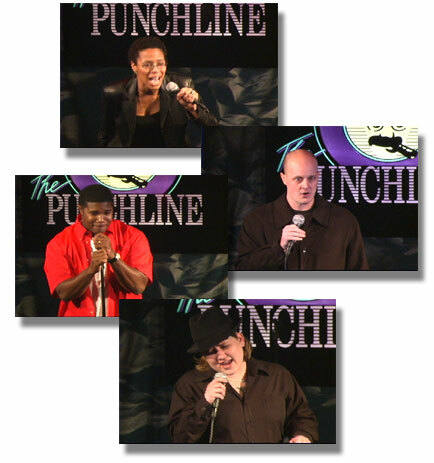 You will perform your standup routine in a showcase performance at an Atlanta area comedy club! Designed to challenge and hone the instinctive aspect of acting, improvisation is a fast-paced opportunity to understand how quickly your mind can react to various situations and to think on your feet. You will learn to trust your instincts and manifest them with confidence. Workshops are limited to 15 participants. Visit Manny's calendar to find the next scheduled workshop near you! ©Copyright 2005. All rights reserved.